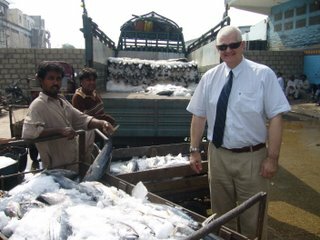 Inspecting fish quality as part of the preparation work for the Fish Action Plan for the Pakistan Ministry of Finance (Competitiveness Support Fund). 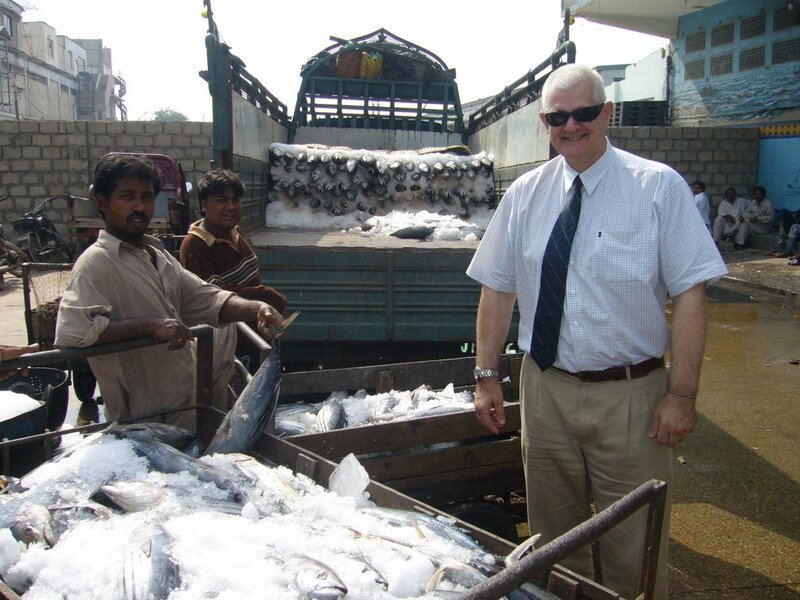 The work has targeted Karachi Fish Harbour as a critical point for intervention by the government. The Harbour exports $160 million of fish and seafood to various parts of the world, 40% to the EU. It is well below acceptable standards and the AP being prepared will recommend changes in management and upgrading of infrastructure to conform to HACCP standards. Not really!! Geoff Bastin is in the Uruk Valley near Quetta in Balochistan, taking time out from a field survey of almond producing areas. Apples, onions, dates are the other major crops. People husband sheep and grow wheat and fodder crops. 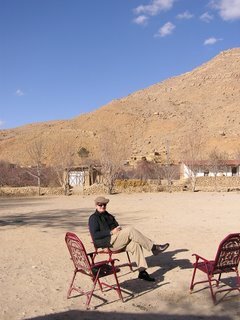 In this area water is not a problem unlike most of Balochistan that has suffered a six year drought. FoodWorks is undertaking a food industry study for the Competitiveness Support Fund, a subsidiary of the Pakistan Federal Ministry of Finance and supported by USAID. Geoff is Food and Fisheries Advisor to CSF. The FW team consists of Geoff, Robert Lindley (fisheries) and Elena Timchenko who provides project support.